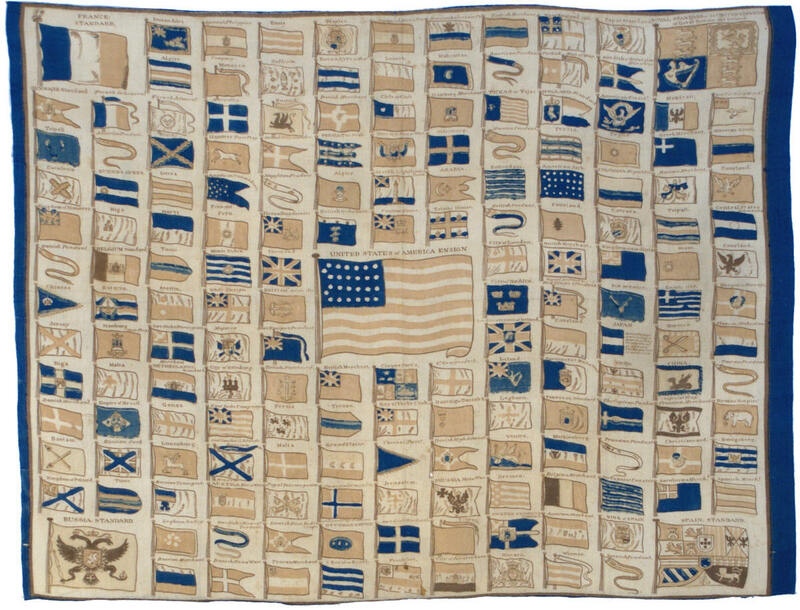 There exists just a small handful of 34 star flags in this rare and unusual pattern, with four elongated rows with two additional outliers. I am aware of just two or three other flags in this form. The the outlier stars that sit between the rows form an elongated "C", which is a trait only seen on flags of 26 stars. IAS-00158, a printed kerchief showing the Flags of the World, depicts a 26 star flag in just this form but with rows of 6 stars rather than 8. 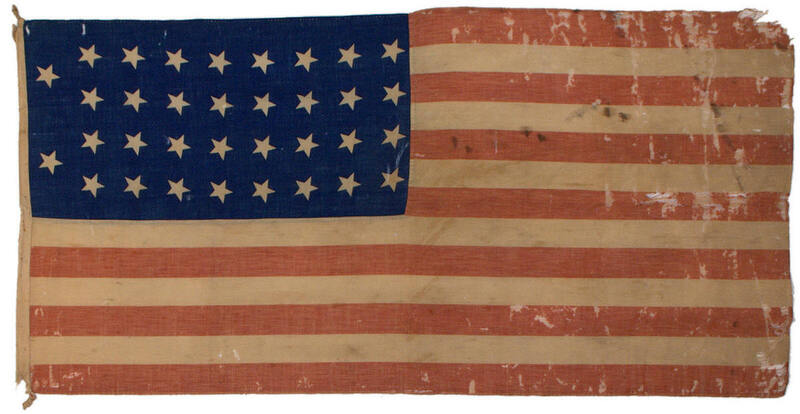 Flag expert and dealer Jeff Bridgman indicates that examples of this flag may have been used as Union camp colors, which are the smallest regulation flags used by Union forces during the Civil War. Camp Colors were often hung from flags staffs just outside the tents of Union army officers during the war. This particular flag originated in Newburgh, Indiana. Newburgh has the unique distinction of being the first Union town captured by Confederate forces during the Civil War. According to the lore of this flag, it was carried by citizens of Newburgh, riding on horseback, down to the banks of the Ohio river to see if the Confederates were actually crossing the river. The party encountered the Confederate forces and the flag was captured. The Confederate forces, under the command of Colonel Adam Rankin Johnson, consisted of a force of just 35 men. Johnson cleverly placed stovepipes and logs in an arrangement that looked, from afar, to be cannon trained on Newburgh on the far side of the Ohio River. On July 18, he and his men crossed the Ohio in boats and raided the town, capturing it without firing a shot. Aside from the flag's great rarity of pattern and form, its association with such a famous incident in the Civil War makes it a wonderful and historically important example from the period of the American Civil War. 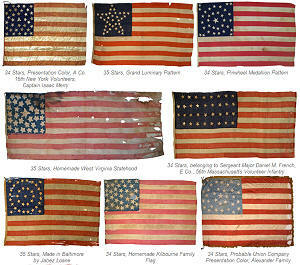 Click here to see more examples of flags from the Civil War era.